Is Onlive The Future Of Online Mobile Gaming? This Wednesday saw the arrival of the much anticipated tablet and smartphone application version of Onlive. If you have not heard of this technology and service before, and you like your games, then you are in for a treat. Essentially, the app will allow you to stream high bandwidth (quality) games from their own cloud servers directly onto your device. Now there are a number of benefits to this, which I will come to soon. 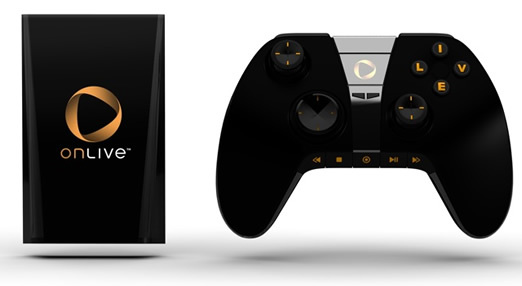 Firstly let us take a look at Onlive and see how it works. This free application will stream games via Wi-Fi and 4G LTE, which will enable full HD gaming via low latency cloud streaming anywhere where you can pick up a 4G or Wi-Fi connection. So what games are currently available, and how have they been adapted for the touch screen devices we are seeing grow in popularity? LEGO Harry Potter, L.A. Noire, LEGO Batman, as well as some 25 other titles, this is set to increase as more and more people trial the totally free application. So let us get on to the benefits, apart from being able to play really cool games! As you can see, some of the issues I have raised relating to Battery life on the iPhone 4S and other devices should hopefully see some improvements if high end gaming is what is killing your device, though right now it is unlikely you will be too far from a power source if you are needing to be hooked up to Wi-Fi to currently use Onlive, so this benefit is partially negligible till 4G LTE is more readily accessible, then this benefit should start to really shine through. Another great part of having an account with OnLive is that you will be able to stop your game on one device and then carry on playing where you left off on another device, which will actually be quite a useful bonus in this world of plenty when it comes to mobile powered “smart” devices. Another option that is coming soon, will be the ability to hook up a wireless controller purpose built for OnLive and mobile devices which utilises the company’s “exclusive adaptive wireless technology” and will search for the optimum wireless connection for your smartphone, tablet, PC, Mac, TV, Blu-Ray player etc. The first app to be released will be the Android Onlive app, with other app stores taking a little longer to clear up any legal issues and general partner relationships. This application is however just what mobile apps are all about when marketed right. A totally free method of gaining access to a new technology that enhances what is currently on offer, with the full functionality provided to you in many ways that suit each person. There will be an option to rent titles for 3 days, 5 days or gain a “full pass” which essentially means you have bought the game, or a pretty reasonable subscription service which gives you access to a huge growing library of games for $9.99 a month. So which Smartphones and Tablets support the new application? Let us know your thoughts once you have played around with the app!